As a result, this Lab Manual insures that your students will have everything they need for the course. All you need to supply from the instructor’s materials is any starting code you want them to have for the case studies or projects. 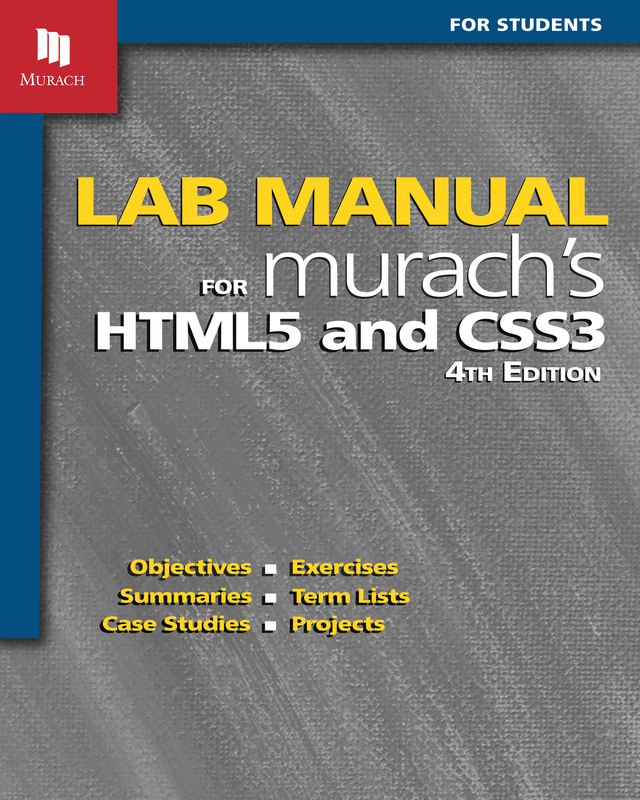 The Lab Manual is available on its own, or in a VitalSource eBook+eManual bundle. You are currently on the Murach site for instructors. To buy this Lab Manual, please visit our retail site.